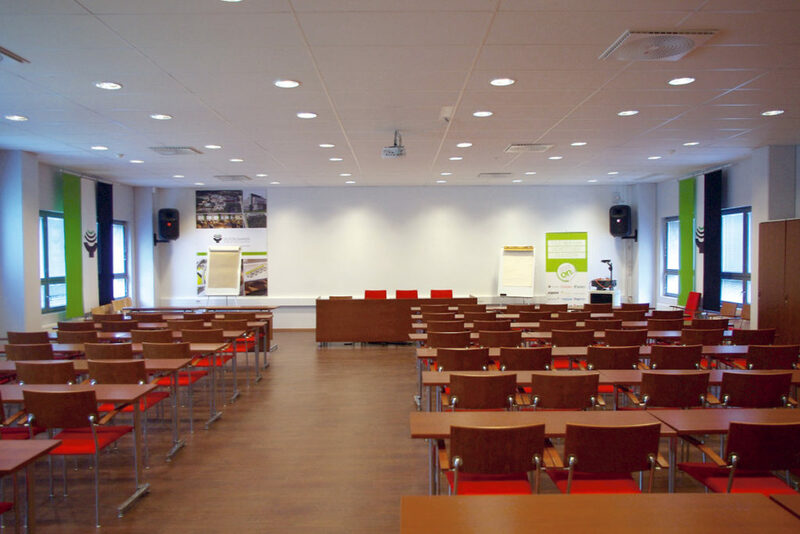 Description: Eduction & Auditorium facility with 80 table seats. Equipment: PC-link, Internet connections (client WIFI etc. ), dataprojector, overhead projector, flipchart, whiteboard, induction loop for people with hearing disabilities. After 16:00 o’clock and on weekends upon agreement.